Version 1.20 of our smallest iPad app, A Little Solitaire, is now available in the App Store. If you have purchased the app, the update will be in the update section of the App Store. If you have your iPad set to download updates automatically, it will already have updated. If you have purchased, please rate and review the new version! 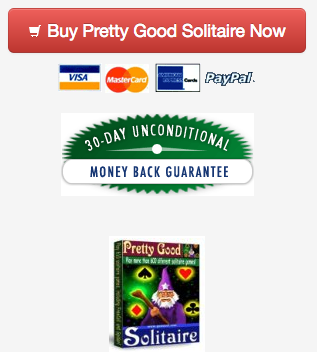 A Little Solitaire is only 99 cents. It's a great way to try out our iPad games at a small cost to see if you like them. A Little Solitaire contains Klondike, FreeCell, and Spider as well as a few variations of those games (such as Spider One Suit and Spider Two Suits). Almost all of our games will be updating soon. A Little Solitaire is the first iPad game to update this year, the rest will updating as well, including Pretty Good Solitaire for iPad. 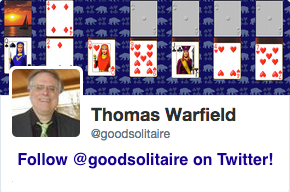 The Windows versions of Pretty Good Solitaire and Pretty Good MahJongg have already updated - see http://www.goodsol.com/download.html and http://www.goodsol.com/pgmj/download.html to download the updates. Other Windows games such as FreeCell Plus, Most Popular Solitaire, Goodsol Solitaire 101, and Action Solitaire will all be updating in the coming months. Finally, our Mac games will be updating too (although since these are going to be the biggest updates in terms of features, they will probably be the last ones done). This game is at Rainbow.